Forget the excuses. Just for today, focus on the many ways to improve your health by giving your body priority. This list is by no means complete but a starting point to get you making your physical, emotional, and spiritual health a priority in your busy life..
Focus on the basic intake of your diet. Foods for healthy skin and a great lifestyle will make you strong inside out. Before you know it you’ll be living a healthy lifestyle. 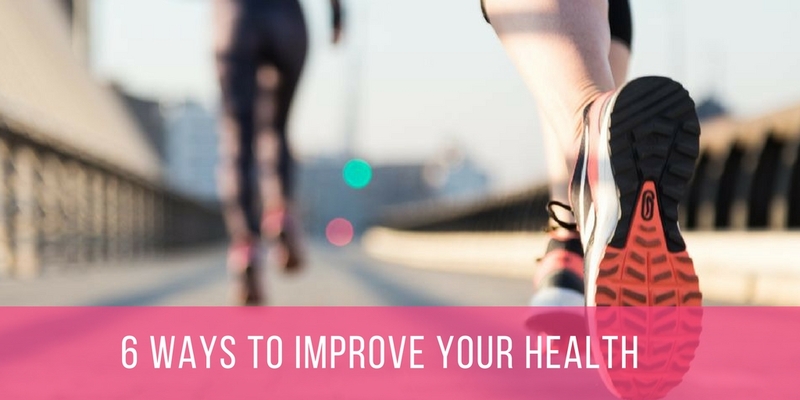 6 Ways to improve your health.